I spent Christmas in the Big Bend area. I’ve never driven so much dirt road in a week. 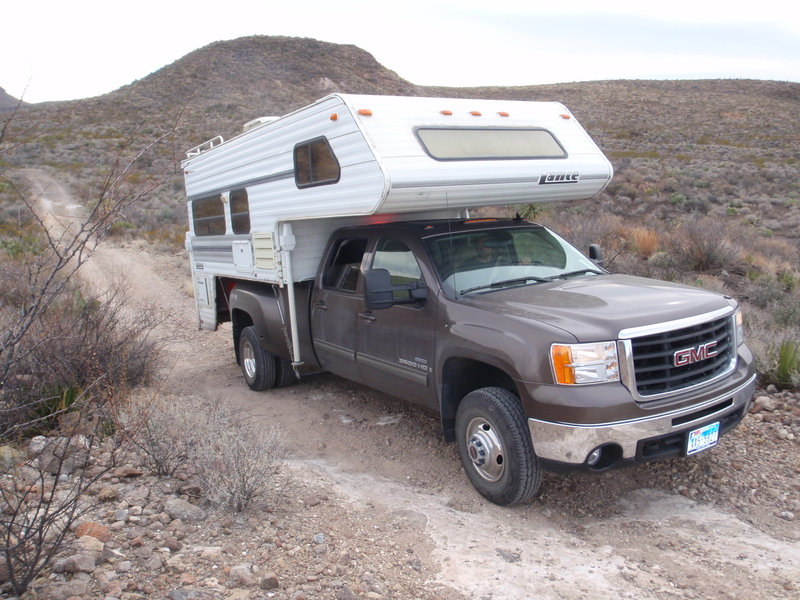 First day we drove the dirt road from Marfa to the Big Bend Ranch state park. Freakin’ awesome! Did not see a single car! We went to the national park to meet up with my dad and his wife. We dragged them into the state park despite his not wanting to drive dirt roads. I didn’t take him to my camp spot as it was pretty sketch and lots of brush on the sides. Got in a few rides, but mostly learned a lot about the ranch and how to better prepare for my next visit. A dually is not favorable in this area. Too wide. 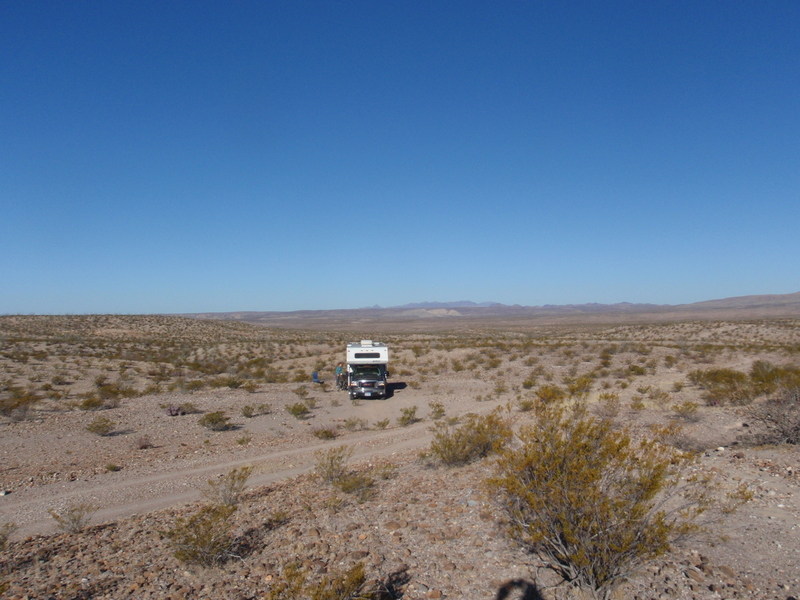 4×4 is nice and jeepers love the area. The only way to get to the good spots in a day is to mtb there or jeep it. It’s been over 5 months since the end of the 1st Breck Epic Stage Race. When I originally signed up, I Spot Brand had not announced that they were going to give away a frame to the SS winner. 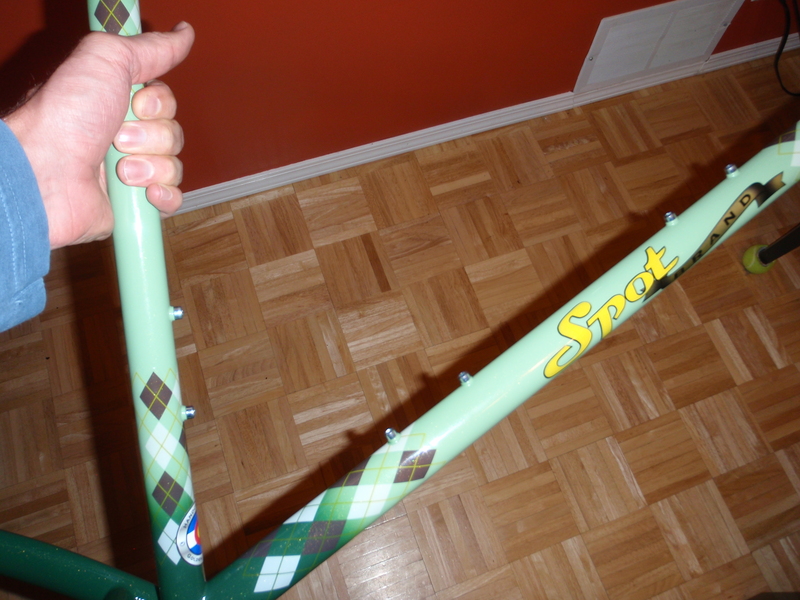 It was about a week or two after I registered that I saw the announcement from Mike Mac regarding the frame. I must admit that that little carrot provided a bit of motivation and helped me and Jen solidify our summer plans well before the school year ended. If you know me and kept track of me this summer, you know that those plans worked out well as I won four stages in my category and the SS overall. I loaded the camper with all kinds of loot and a few weeks after I finally got through to Gavin at Spot and told him want I needed. A month or so after that, Gavin contacted me and said they wouldn’t be able to build my frame as their jigs and tube sizes would not be able to accomodate my gigantic needs. 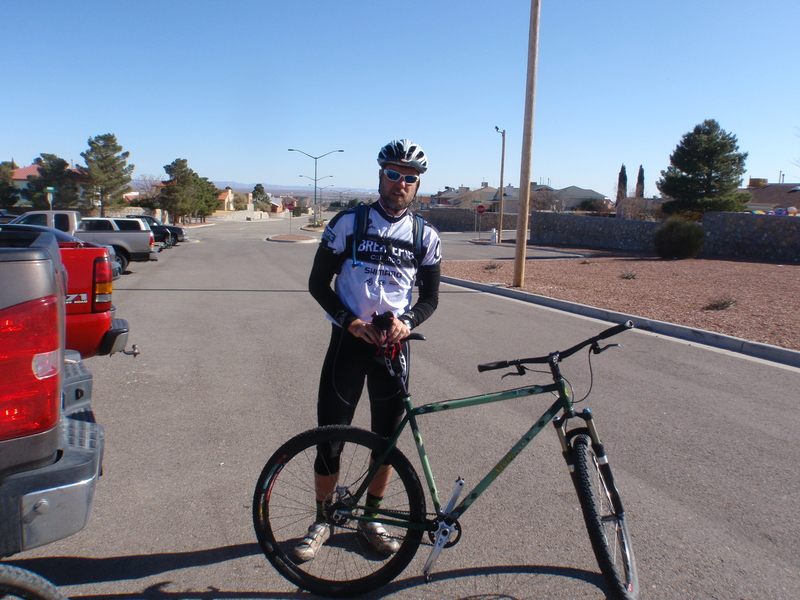 We discussed it a bit and made a few compromises (shorter head tube and seat tube) and they went to work. 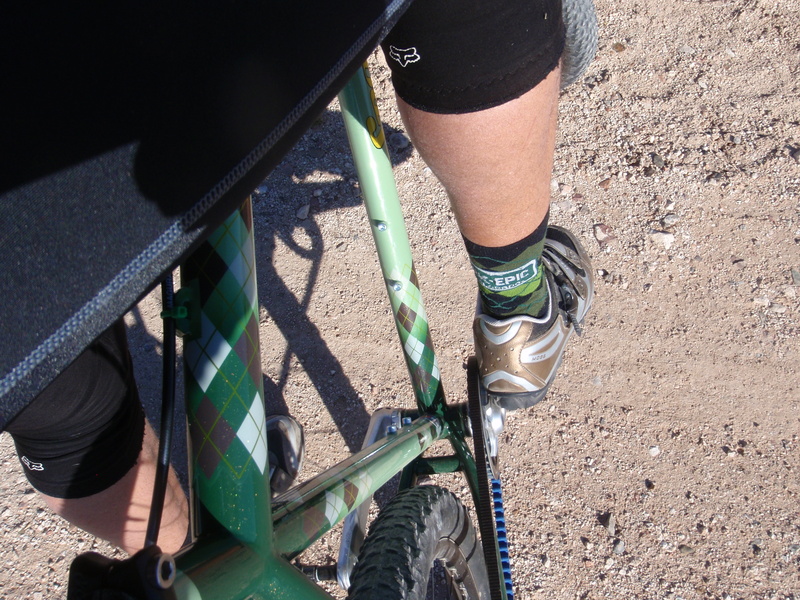 I asked for a green color to go with the old Colorado license plate theme that Mike used for the event as well as to match the ultra-rad argyle socks that were issued to all the entrants. Gavin called me before Thanksgiving to let me know the bike was in paint. That is probably the longest process for many of the frames at Spot. They specialize in ultra-sweet paint jobs. I later got in touch with him and he quoted me $140 on the belt drive…but for some reason I ended up paying $240…??? Oh well, I wasn’t going to sent it back as I would have had to pay shipping with I was also charge $30 for. I really shouldn’t complain. I have so many really sweet bikes, but this is the only one with a real paint job! Isn’t it a nice paint job? I spent all morning….and I mean ALL morning getting this thing built. 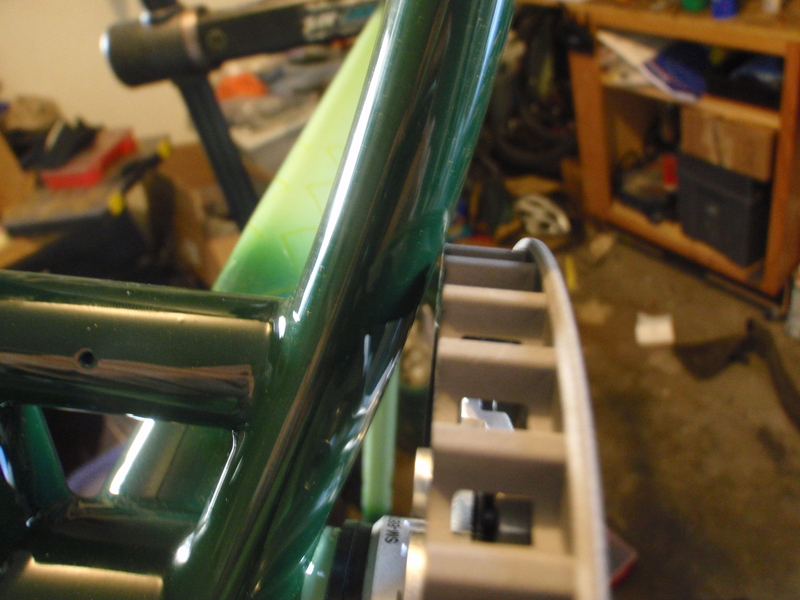 I started off with a treatment of Weigle frame saver. They I installed a Chris King Headset I found in a box. I also installed the stock XT BB that came with the 180 cranks I won at the Epic. After removing the 3 rings I installed the Gates drive ring and put the cranks on the frame. It seemed awefully close, but I went with it. After stealing a fork off another bike, I installed the stem and bars, pedals…and then the brakes. I scored a set of Magura Marta SL’s from Mary McConneloug this summer and I’ve been using them as spare parts. I fried out a master cylinder on a lever, so I ended up using plain Marta levers with the SL calipers. I also had to install a new hose on the rear. Thanks to Jude at Magura for keeping me stocked on extra long hoses over the years. I spent about an hour bleeding the brakes and another hour getting the belt drive system lined up. I mounted up an old WTB saddle to an even older Moxey post and I took it for a spin and heard a horrible sound. I thought it was the belt rubbing the guides, but when I put it back in the stand I saw that I hadn’t tightened the cranks up all the way and their was even less room between the frame and the belt ring than I originally saw. Luckily nothing got ruined and I just scratched through a little paint. Dang! I found some King BB spacers to put between the crank and the outer edge of the bearing so I could keep as many threads as possible in the BB cup. Spot used a 68mm bb shell. I didn’t think anyone used that size anymore. Once I finally got everything lined up, I loaded up the truck with preggers and her bike and headed out to ride the new Hitt Canyon trail. I didn’t even need to adjust the saddle. The thing rode pretty well. I think that the most notable difference is at really high speed on rough stuff, I could still feel the rough stuff. The ti frame does an awesome job of making that really rough feeling disappear. It’s been over 20 years since I’ve owned a steel mtb. I’ve been kind of wanting another one for a few years and I was thinking about having Walt build one for me. Skinny painted tubes are interesting to look at after you’ve been on fat silver tubes for a few years. Granted I’ve only been on one ride on the Spot, it was a punisher. The new Hitt trail is freakin’ rough. It’s got tight turns that require a lot of power and finesse. So here’s the breakdown. From these results, it looks like the Spot is going to get ridden quite a bit. I haven’t been riding a hardtail much at all since I got the YESS tensioner, so maybe the Spot will be reserved for special occasions. Thanks so much to Spot for sponsoring the Breck Epic. They kicked down so much stuff it was ridiculous! Thanks to Gavin for getting the crew at Spot to build me a bike that fits as well as anything else in my stable of handmade rigs. Now it is time to PIMP IT!!! Taking advantage of the snow! While riding weather hasn’t been all that great, I did slog through the mud and snow on Saturday for about 6 hours. Today was quite a bit better as I put in some more trail work hours. Read more and check out some photos here. 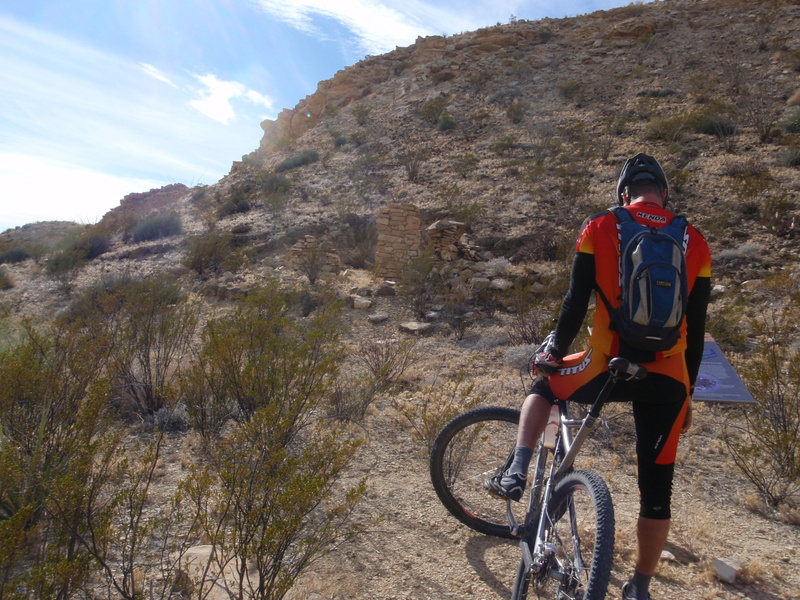 A total of about a dozen people have contributed to some serious trail building in the north end of the Franklins in an effort to provide mountain bikers with some sweet singletrack. 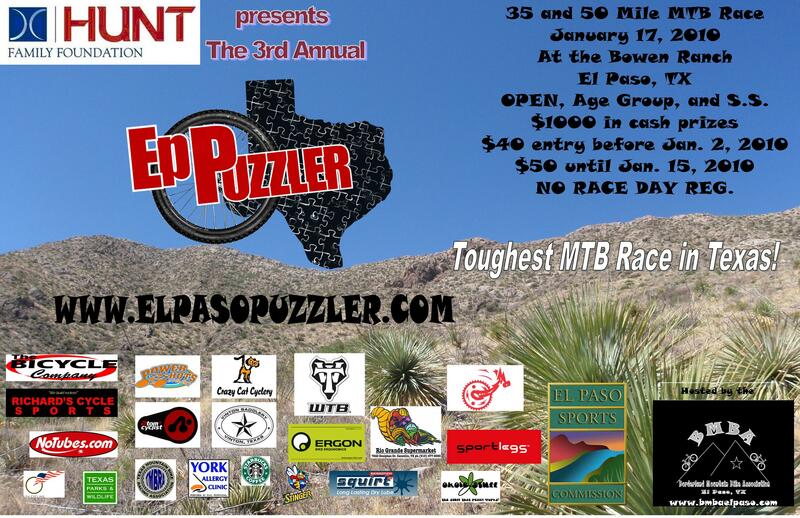 This trail will receive its first major test at the 2010 Puzzler. Registrations have started coming in. It’s going to be AWESOME!! !